A: Around Dojo 1.3. I was tasked to write a tree menu and I was pointed to a Dojo example of the dijit/tree. The learning curve was higher compared to other simple frameworks but it was totally worth it. Q: Why did you choose Dojo? Q: Were you previously using another toolkit? A: I have used jQuery UI and Bootstrap, but I think Dojo is a much better fit for our use case, the default functionality and modules are beyond what I have ever seen before. Q: What does your application or service do? A: FreeNAS enables users to build network-attached-storage (NAS) on nearly any hardware platform of their choosing. The FreeNAS project and software were founded in 2005 on the principle that network storage be made available to the world at no cost and unencumbered by license restrictions. Q: How does your application use Dojo? A: Dojo is used as the central part for FreeNAS WebGUI. it is a Rich Internet Application (RIA) so it is used for everything: base layout, tree menu, menu bars, dialogs, form elements. We have developed our own widgets for the volume manager, cron job task schedule, web shell, unix path selector, among others. We feature a RESTful API written in Python/Django which is also consumed in our dgrid datagrids using dojo/store/JsonRest. Q: Overall what is your user experience with Dojo? A: Dojo has exceeded my expectations in every way. The documentation is terrific, I can always find everything I need there, without the need of looking through the source code. I have found the community support is also something to account for, there is always someone willing to help, either in IRC channels or in the mailing list. Q: What’s your favorite thing about Dojo? A: The modularity is my favorite feature of Dojo. One can easily extend any component to fulfill his needs. The source code is extremely clean, which makes the task even easier. Q: What are your future plans with Dojo? A: Next projects will definitely give Dojo a serious consideration as it has proven to be a very nice piece of software. I would like to leave here my sincere thank you for every single Dojo developer. Keep up the good work! Thanks William for telling us about your experience with Dojo. 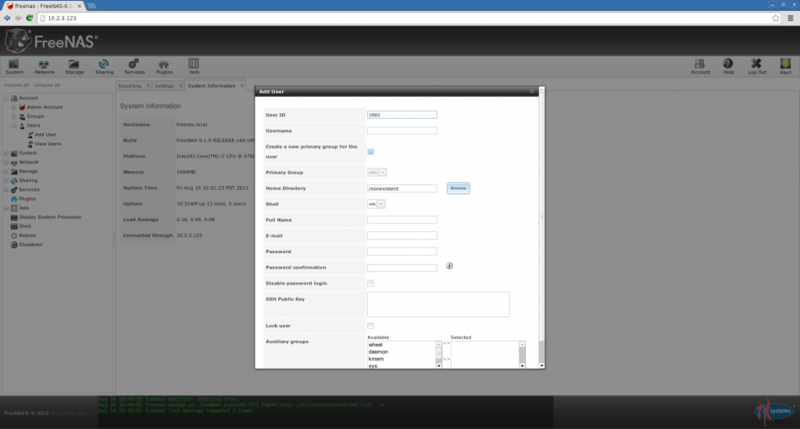 Checkout more FreeNAS screenshots to learn more about the application. If you would like to share your experience with Dojo, please contact us.